LOOKING FOR OFF-SITE CATERING? Mateo Granados Catering offers complete catering services in your home or business. Reserve your special party space now at Mateo’s Cocina Latina! For garden brunches or festive fiestas Mateo’s garden patio is perfect for group celebrations, rehearsal dinners, welcome parties or after parties. In a delicious mix of cultures, the Yucatán-born chef Mateo Granados has created a unique signature that celebrates rigorously sourced local and sustainable Sonoma ingredients infused with the vibrant regional flavors of his homeland, crafted with classic French finesse, and sparked with playful spirit. Liquifaction Kolsch Style Ale, Seismec Brewing Co.
Shattercone IPA, Seismec Brewing Co.
Namazu Oat Pale Ale (OPA), Seismec Brewing Co.
Alluvium Pilsner, Seismec Brewing Co.
Antifreeze Double IPA, Gilman Brewing Co.
Fuenteseca, Extra Añejo, Reserva 8 Yrs. You would be foolish not to go to Mateo's while in Healdsburg. Blend of Yucatan with local ingredients, all fresh and delicious. Informal and relaxing - I liked the door being open on a warm afternoon and a few people coming in and out. Noisy. Front door stayed open until we got up from our table to close it. Poorly designed. Food was ok but nothing special. We took our mother to Mateo’s for her 70th Birthday and the evening and food was amazing!! This is our 3rd time there and it’s always wonderful! Food was great, as always. It was very quiet due to the flooding in the area impacting tourism and generally few were out and about. Service was very attentive, proactive and helpful. Thanks. Matsutake mushroom appetizer was over the top. The pork loin was amazing and moist. Service was a little slow, but enjoyed the evening. Excellent food that is sourced locally and prepared appropriately. A varied menu that is not just Mexican but Yucatan and New World fusion. Not inexpensive but the quality of the fare is not cheap to offer. Unfortunately, there are some overpriced items like a small but delicious portion of guacamole for $12.00. The service is great also! We hit the jackpot with Mateo’s: food was delicious, cooked just right and well balanced food pairing. Mateo’s is the high lite of our trip! We were a little disappointed. We had hoped to eat their Yucatecan cuisine and didn't realize it is only served for lunch. I thought it was over priced for the quality and quantity of food for dinner. The service was excellent and the restaurant is beautiful. Definitely will go back for lunch or brunch to try the Yucatecan menu. The restaurant was empty. Food tasted good but it was too expensive for what it was. Staff was great! salad all had a good amount of red onion in, not to my families preference. The fish tacos were mackerel with the skin on, mackerel with skin on is more like fish skin taco rather than a fish meat taco, again, not to my families preference. Seasonal soup was a large bowl of broth with maybe 25% veg, at 15 for the bowl, that wasn't where that presentation should have been. We did the chef's choice with three courses. Food was overall above average but not anything to brag about. Service was slow and it really seamed like most of the problem was the kitchen. They were way to slow. Lots of tables waiting for food and it was not busy at 530. The waiters were very attentive and professional but they were hamstrung by the kitchen and how slow they were. Wonderful food selection, great cocktails, excellent service. Really enjoyed this gem of a restaurant. Don’t miss trying their home made hot sauces. Such a great place. The service was amazing. The chef came out to say hello & ask how our dinner was. I'll go back anytime I'm in the area. The chef’s tasting menu (3 choices) was amazing along with their wine pairings. It was an awesome experience with memorable food! Very innovative Latin food. Diverse selections. Attentive staff. Chef spent time with us and we had a very interesting conversation. He is well connected in the world of food. Once again, Mateo's delivered a fabulous meal. Best kept secret in Healdsburg! Foid was very good and the patio ambience was awesome! This place is phenomenal. We came hearing it was good but not expecting it to be the best meal of our trip. We ordered the tasting menu - the chef’s creation and you don’t know what he will bring. It was so. Good we’re going back tonight and have been assured it will be completely different. Aside from the food being so good, the bartender was great and charming. He made me some amazing margaritas. Don’t think of this place as Mexican or Latin. Is good, seasonal food with an occasional Latin flare. Get there now. You won’t regret. I think it’s better than dry creek kitchen!! This place was more than what the good reviews had said. Food fantastic and service was superb, just like you would expect with great food and not at all pretentious. If interested in Mezcal, Mateo's is the go-to place in Healdsburg. Good bar, and mixed drinks. Pear salad was good, Gravlax OK, but the steak and pork loin fairly average. Steak was not tender with minimal marbling and minimal flavor. Same with the pork loin - pretty dry with not a lot of flavor. We deferred the desert menu. We were concerned when we saw only a few people at the restaurant, but even when we couldn't get seated outside right away, the staff was gracious and helpful. Then the table was small and we asked for a larger table which they said was reserved, but told us to take it and they would figure something else out for the other group. The food was prepared just a bit unusual and had some interesting spices and combinations. Great place for a large party, casual, fun! Our party wanted to dine on the lovely outdoor patio in the back, however, some of the heaters were broken. Wait staff were very flexible when we changed seats to indoors unannounced. The corn soup with popcorn powder was akin to eating liquid cardboard. While the lamb medallions were tender and tasty, portion size was incredibly small. (Two pieces to size of a silver dollar--not he regular, the Susan B. Anthony). Fish tacos were served like ice cream cones, set in wooden stand at eye level. The wooden frame was a disruption in the table's milieu. Wait staff were attentive and food was delivered quickly. One in our part ordered ceviche, which was very good. Cannot recommend this restaurant. Get in there! Order the tasting menu. You will be blown away. Yep, just do it. Mateo did it again! Totally impressive. Everyone was knocked out by the inventiveness of the Chef’s Tasting Menu. Whenever we go to Healdsburg we try to visit. This is not your everyday Mexican fare. 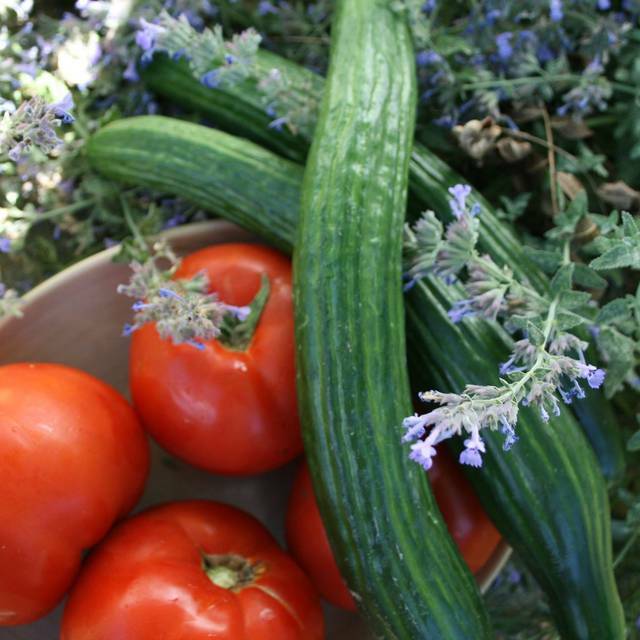 For example our Bloody Mary for brunch was made on the spot with fresh organic heirloom tomatoes picked from their own garden on the patio . The house made tortillas are amazing as are all the dishes. The staff are friendly and Mateo showcases some amazing food. Roast pig on a spit anyone?! That is what we saw as we entered Mateo's patio for lunch...Mateo tending to a very large pig on a spit for a fun event in the evening. 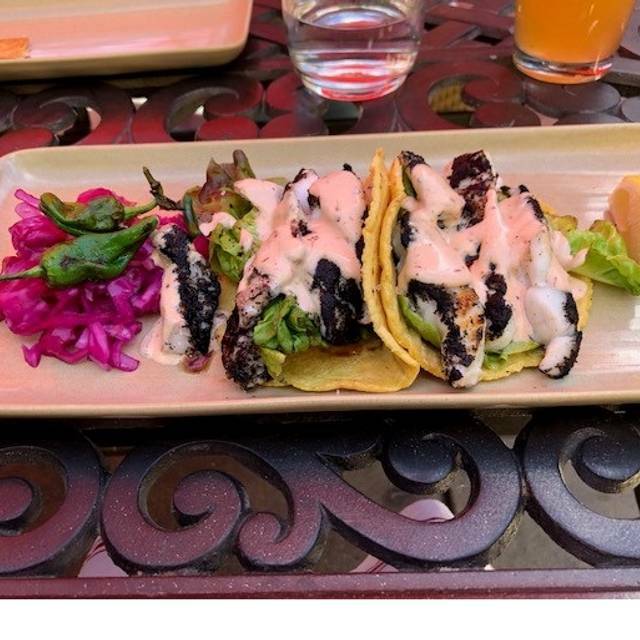 Our friends loved everything they ate -- from their creative tacones to delicious guacamole, cochinita pibil, quesadilla, tzic de res to my divine grilled rock cod tacos! All dishes were of very generous portions, except the guacamole. Mateo's a gregarious and very kind man who showed me his larder which had another pig and a lamb ready to butcher! Best Mexican food in Healdsburg! I went with two friends and it was our first time at Mateo's. It had been recommended by another friend and we are grateful! We were seated in the beautiful patio and Mateo came out to say hello. Our waiter was also super attentive (in a good way) and very knowledgeable. We started with the guacomole - excellent! Two of us had the fish tacos which were cooked to perfection and perfectly spiced. One of us had the hamburger which he enjoyed as well. It was a wonderful dining experience and all of us can't wait to go back. Thank you to everyone at Mateo's! Really wanted to love the food at this cute outdoor courtyard. 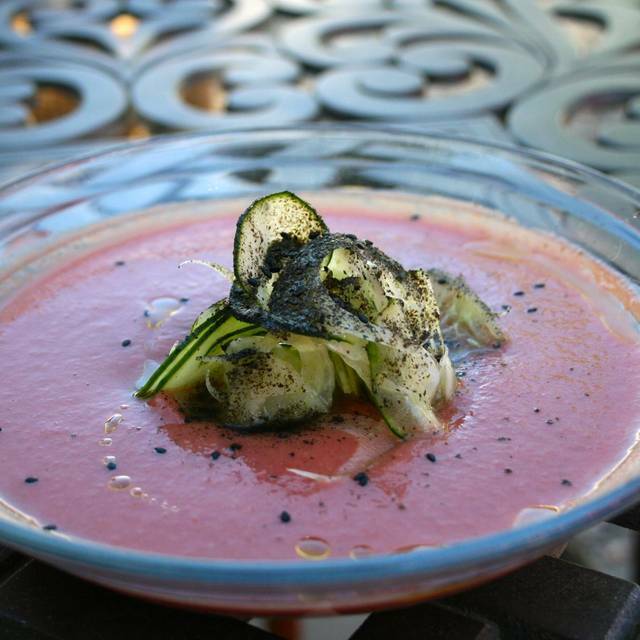 The gazpacho was great. The olives had a little too much star anise for my taste, but overall I’d say they were good. The main courses is where things started to go downhill. My boyfriend ordered the pork of the day, a suckling pig with peach. It was juicy but lacked flavor. I had the lamb and it was good, but nothing amazing. My mom had the hamburger, which was again just okay. Nice place, but not worth $35 per entree for no flavor. Another fantastic brunch at Mateo’s, great margaritas and jeuvos. Fresh and creative is the watchword at this excellent restaurant. One of the should not be missed in Heladsburg. Amazing experience . The chef , staff and farm to table food make the entire eating experience to another level. We tried the chefs five course tasting menu. It was delicious, inventive, fresh ingredients, beautiful presentation with Mateo's personal explanations. Friendly attentive service. Interesting assortment of margaritas. 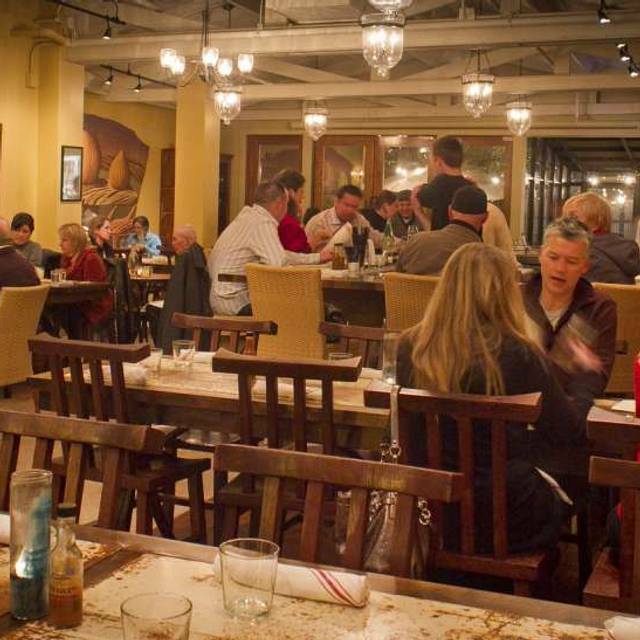 We always enjoy dining at Mateo's! The food is excellant, service is very good and eating outside is really pleasant. The tequilla drinks are especially fun. I LOVE the small potato appetizer! !